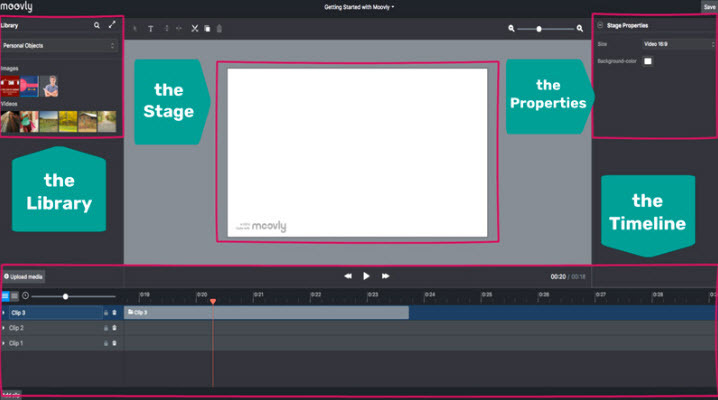 The best editor helps you easily make educational animation video with powerful features. The use of the educational animation software in schools is one of the most exciting progressions that have taken place in the education technology. It helps the students in being creative and allows them to design their own movies, comic strips, and more that is endlessly creative. The animation for educational purposes also makes a class lively, let the students absorb knowledge faster, encourage a child to explore a subject with full enthusiasm. So in this article, I will walk you through 8 best educational animation software. Hope it is helpful. With the use of the educational animation, the students are cheered to deliver engaging and interesting presentations. The animation is one of the best ways to encourage the students to put bigger and better efforts into their project works or presentations, slidesshow creations, or visual concept’s explanations. Animation, being visually appealing helps to connect with audiences and helps the students learn a great skill for the future. The term multi-sensory method is often heard in various professional development sessions and meets. It is another strength of the educational animation. The use of animation for educational purposes helps the students to witness and hear their favorite characters in difficult situations. They narrate the same story to their teachers and friends. Definitely, writing or reading or doing maths is important but the use of a multi-sensory educational animation tool helps to increase the critical thinking ability of a student and is extremely effective. Sharing an animated creation with friends across the globe helps the students in learning how to cooperate. There are various websites that allow you to create an animated movie or explanatory lessons and share it with a group of friends, not necessarily someone from your known circle. Anyone using the same tool can view your movie irrespective of language barriers. It gives the student a platform not only to connect and cooperate but also the exposure. Here we recommend using FilmoraPro. You can use it to make educational animation video adding keyframes, so the animation will be smooth and natural. You just need to build a white plane to easily start making animation. Besides, color correction and audio mixer will raise up your educational video to a new level. Download it to have a try (Free)! 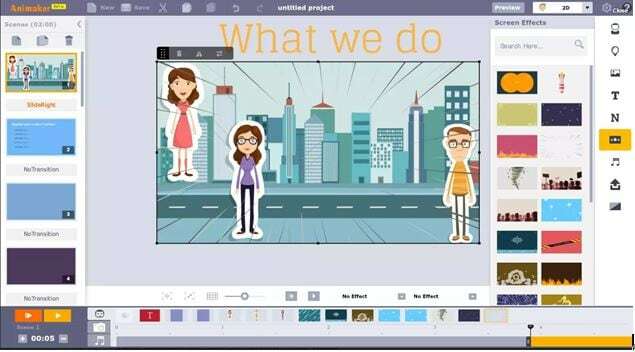 There are a plethora of educational animation apps and sites that help the students to make their video presentations interesting and exciting. They do not just enjoy creating animation for educational purposes but also use it as a tool to enhance their creative ability and share their creations on the global platform. FilmoraPro is one such software that helps the students with editing videos seamlessly. It has a range of features to enhance the animated video making it more attention-grabbing for everyone. Whether students or teachers, animation education is for all. Definitely, give it a try.